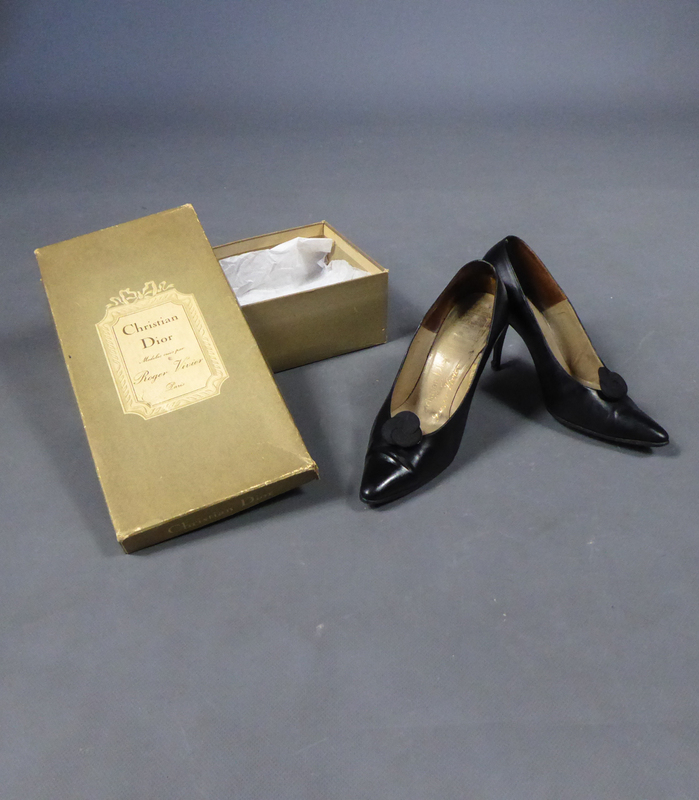 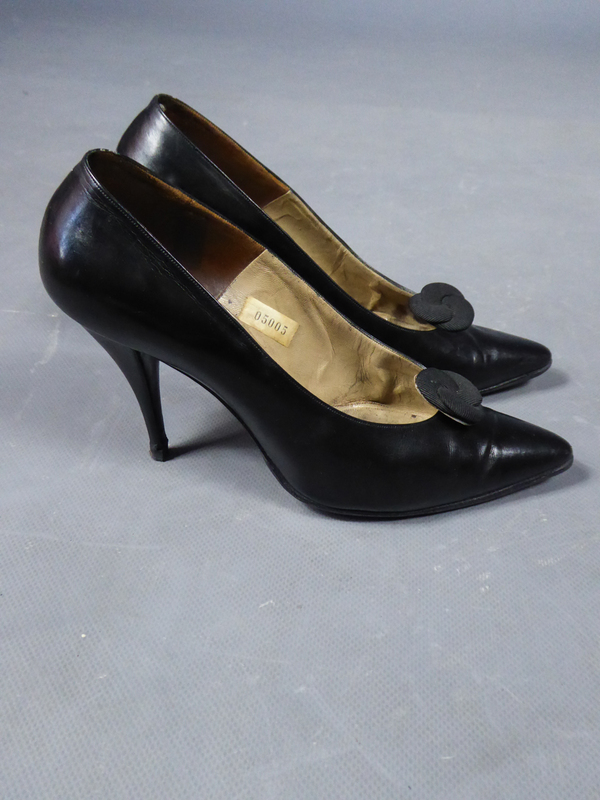 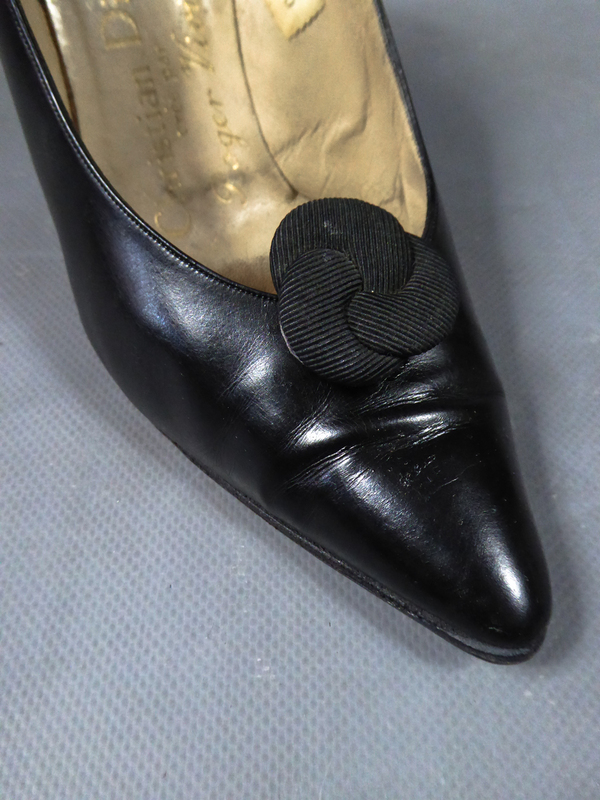 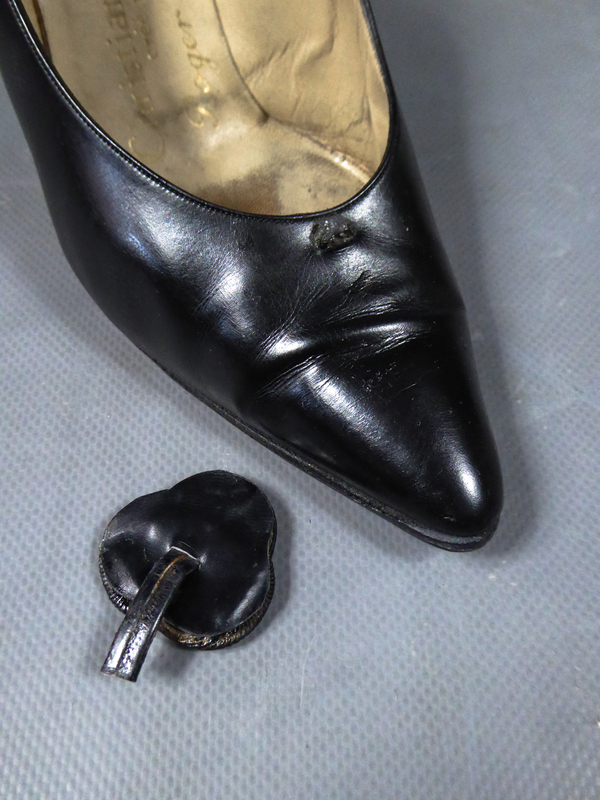 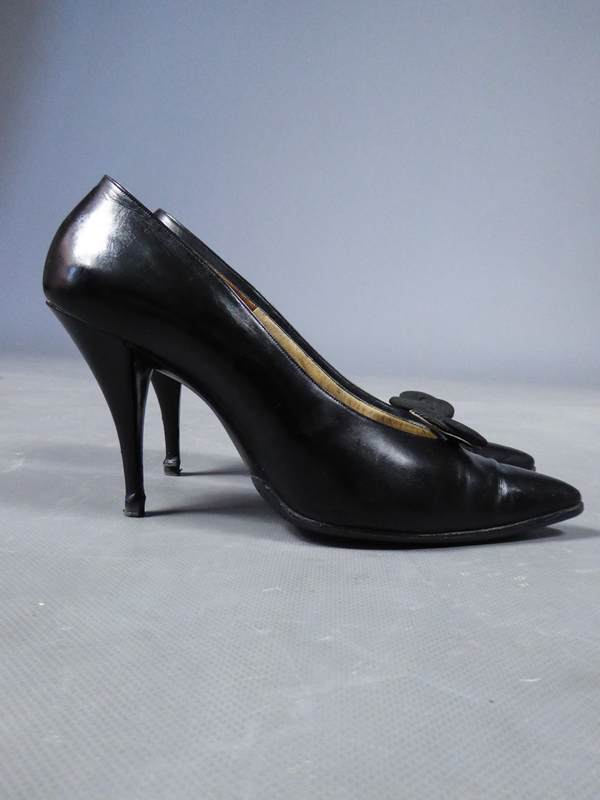 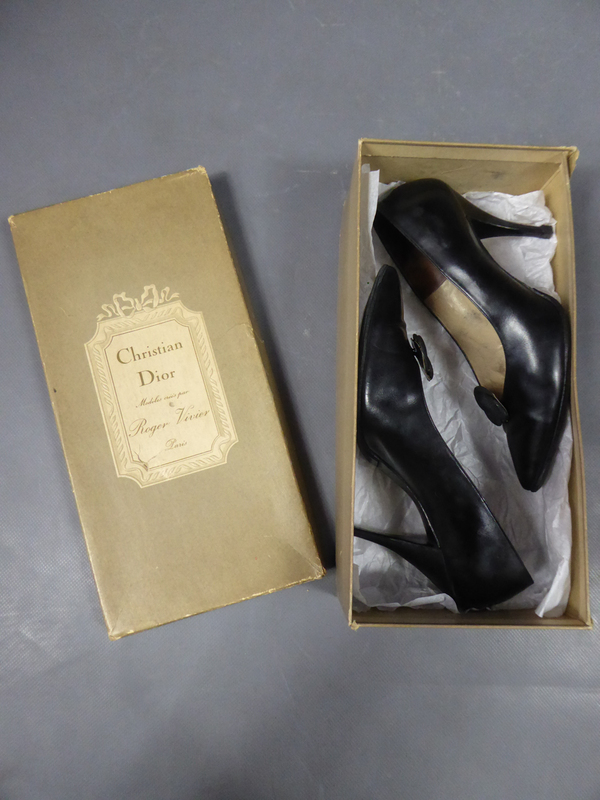 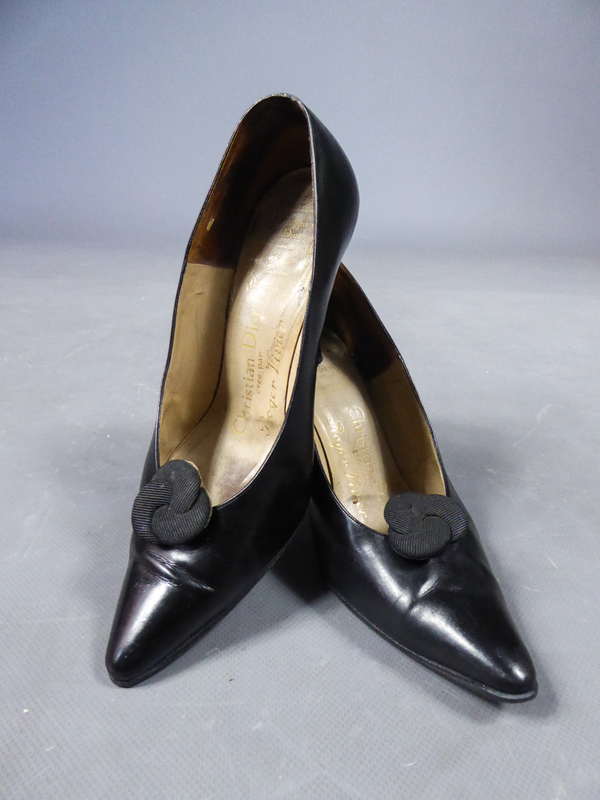 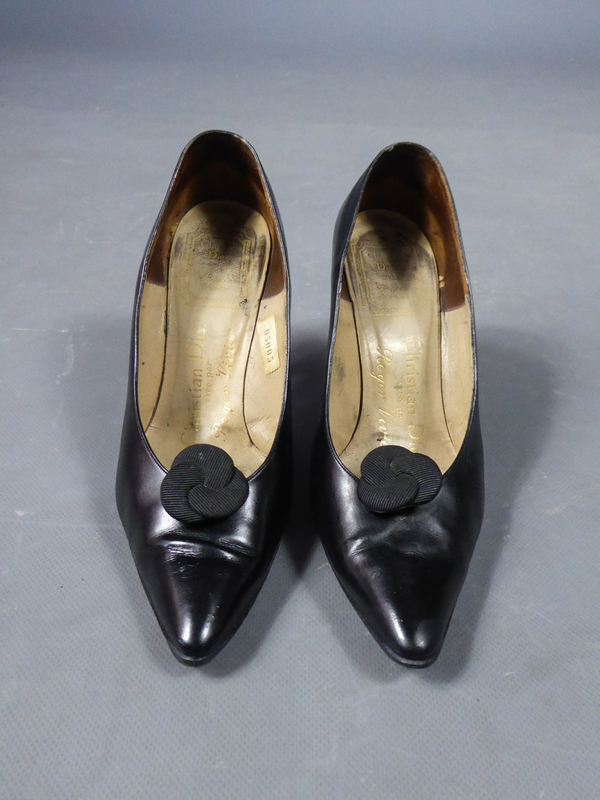 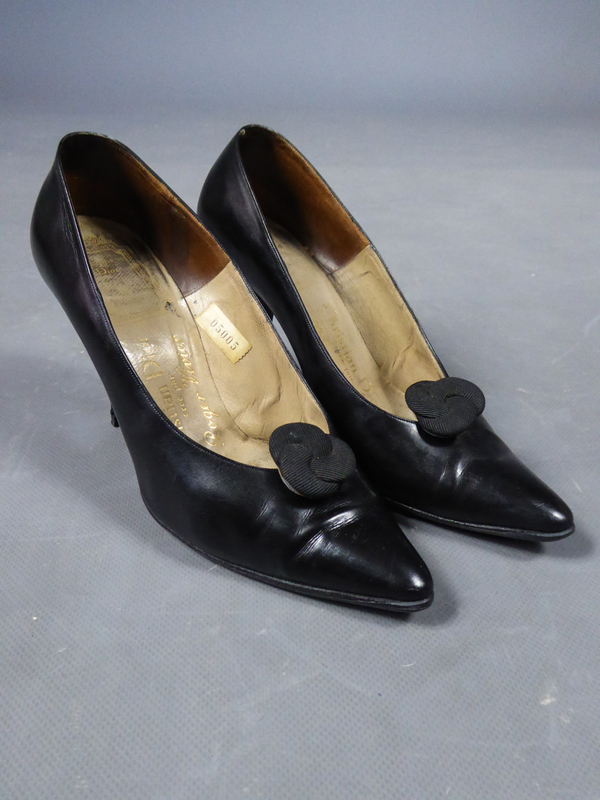 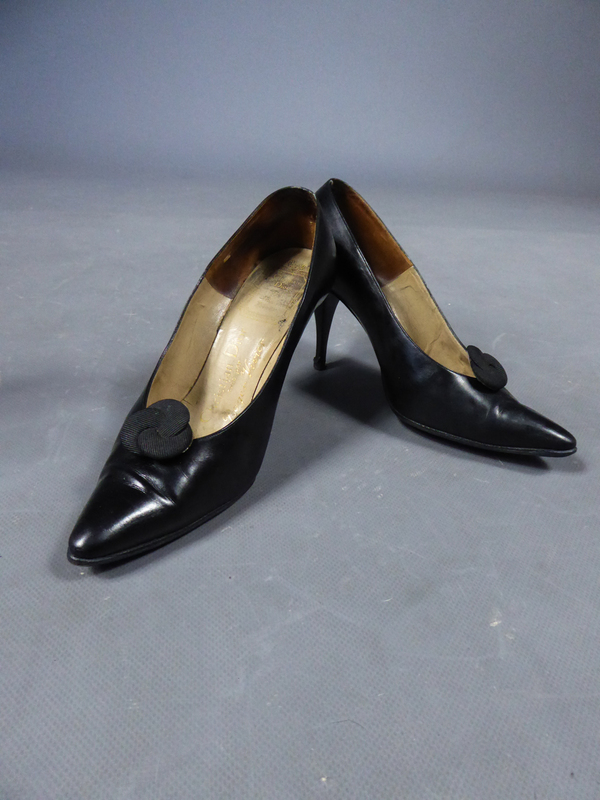 Pair of Christian Dior evening heels by Roger Vivier in glossy black leather from the 60s. 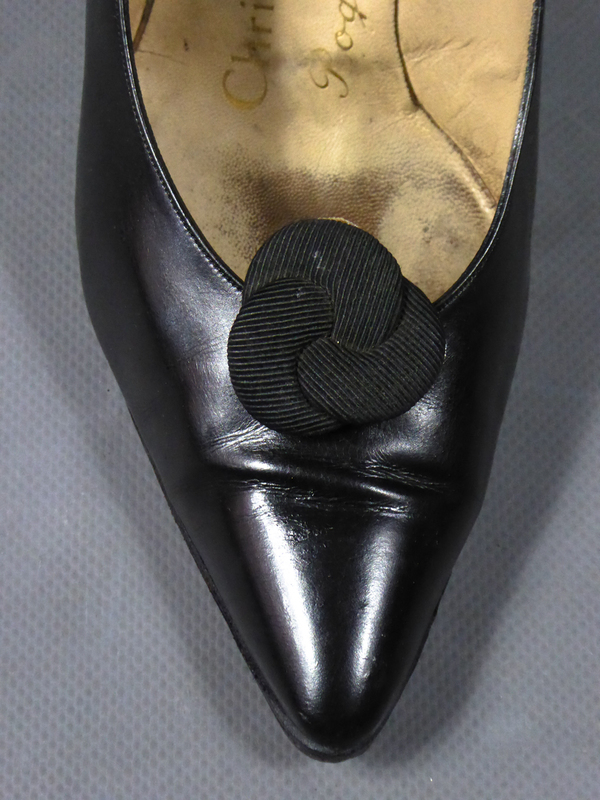 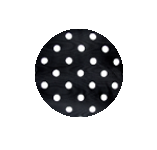 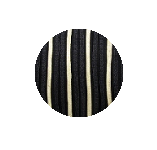 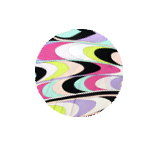 Shoes with stiletto heels, curved shape and pointed at the front, decorated with a removable rosette in black fluted silk ottoman. 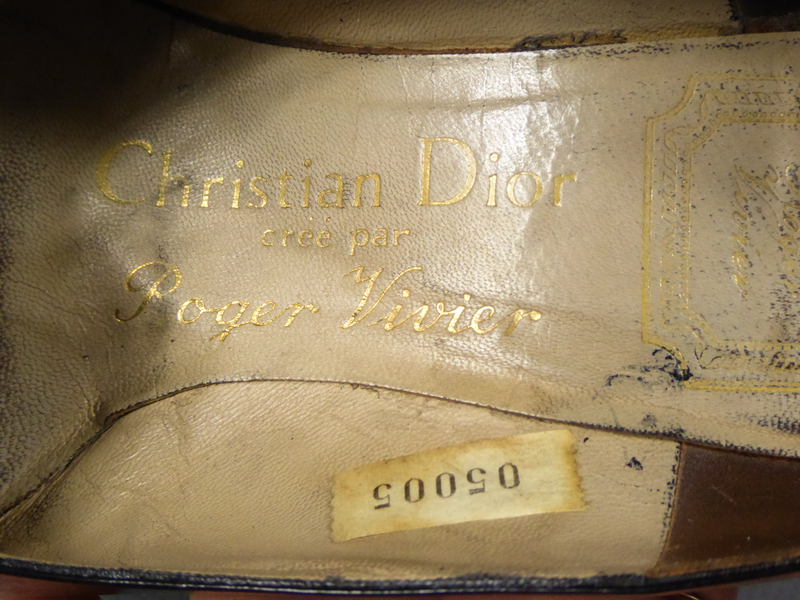 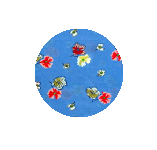 Inside of the shoes in cream leather printed "Christian Dior crée par Roger Vivier" in gold and numbered 05005. 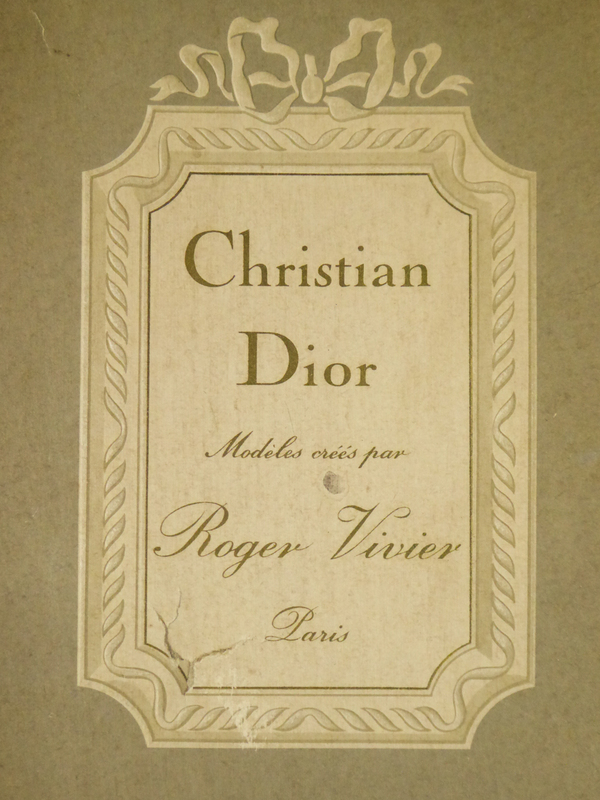 Sold with its original box. 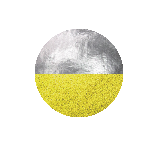 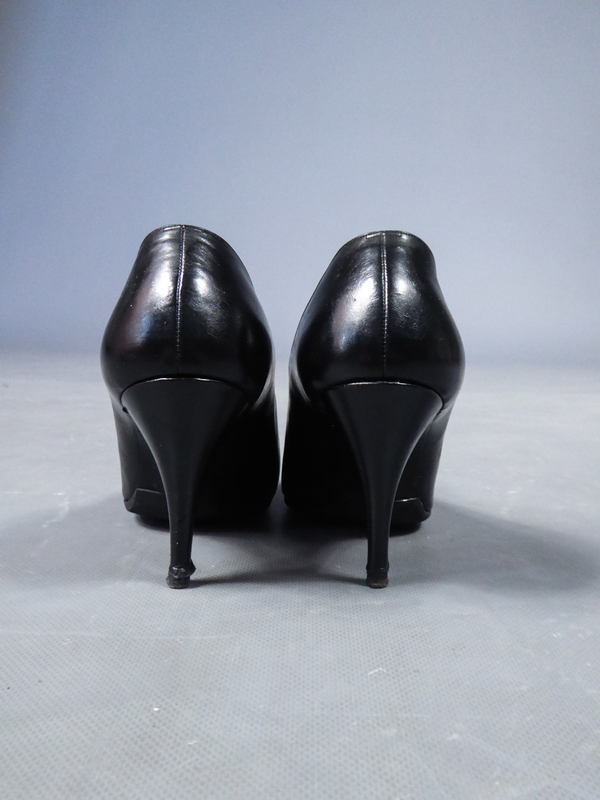 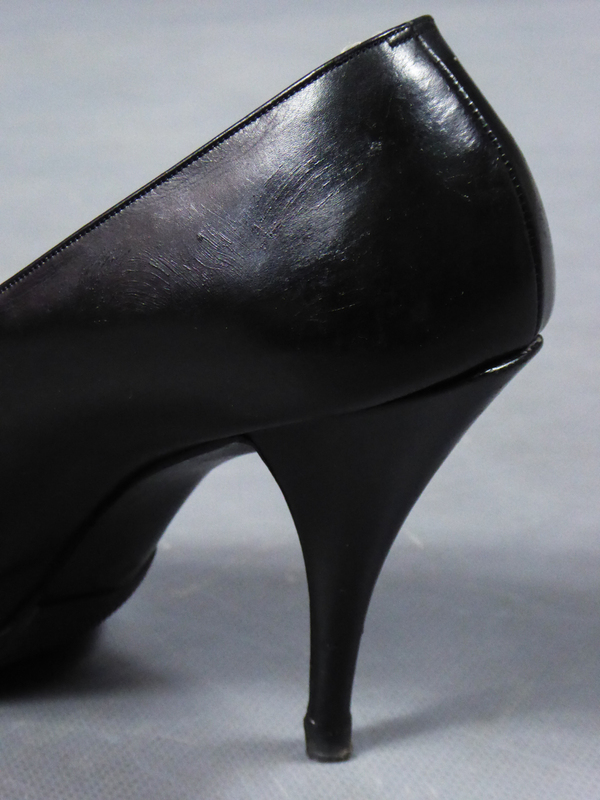 The soles and end pieces of the stiletto heels are new and seem to have been changed. 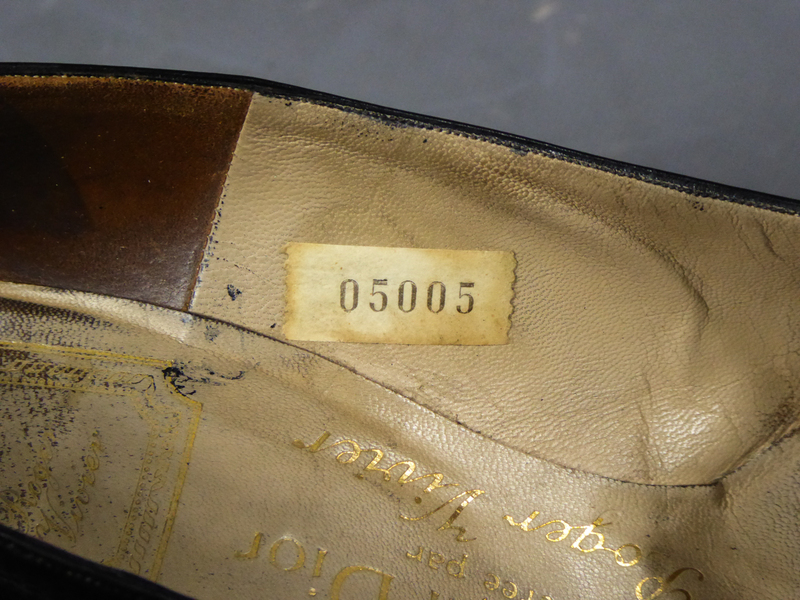 Patina of use inside otherwise very good condition of color and conservation.